daily timewaster: This aerial view clearly shows the extent of the collapse of the Kilauea caldera between May and the beginning of August. This aerial view clearly shows the extent of the collapse of the Kilauea caldera between May and the beginning of August. 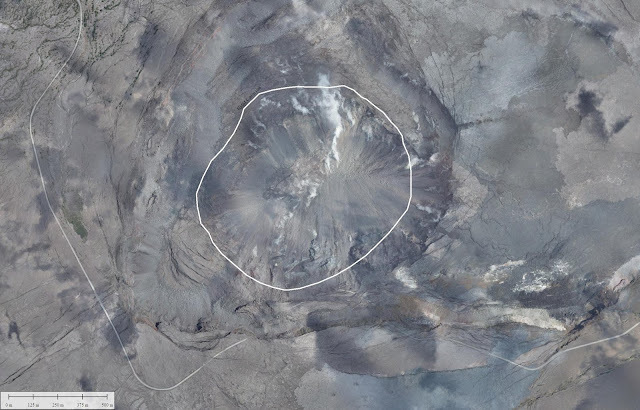 The bright white line circles the outline of Halema‘uma‘u as it was before the onset of the 2018 collapse. Lots of lava drained out from deep below.